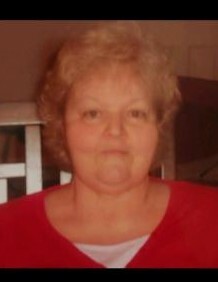 Janice Teal Macon, 70, of Thomasville, passed away Tuesday, April 2, 2019, at Hospice Home at High Point. Born March 22, 1949, in Chesterfield County, South Carolina, she was a daughter of the late Leroy Furman Teal and the late Margie Brock Teal. Mrs. Macon was a homemaker. She is survived by her husband, George Macon of Archdale, daughters, Donna Blair of Archdale, Debbie Land (Mark) of Thomasville, and Christy Korn (Don) of Greensboro; brother, David Teal of Trinity; sisters, Susan Windsor (Larry) of Archdale, Karen Garrett of High Point, and Jackie Teal of High Point; grandchildren, Jeremy Blair, Joshua Land, Brittany McClure, Jason Blair, and Jordan McClure; great-grandson, Lucas McClure; and special cousin, Linda Ludwig. In addition to her parents, she was preceded in death by her brothers, Danny Teal, Kenneth Teal, and Stephen Teal. Memorial services will be conducted at 2:00 PM Friday, April 5, 2019, in the gathering room of Wright Funerals-Cremations with Rev. Blair Ludwig officiating. The family will receive friends following the service and other times at the home of her sisters, 1415 Cloverdale St., High Point, NC.